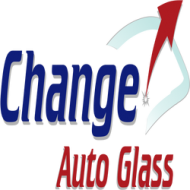 Change Auto Glass proudly offers mobile service to all cities in Bay Area, CA. We also provide in shop Auto Glass replacement in Fremont, San Jose, and Newark CA. If your car windshield or window is broken, all you need to do is give us a call, tell us about your car, and we will find the right part and send one of our experienced certified technicians. Even the smallest windshield crack can turn into a big problem if you wait too long. Once your car’s windshield has been cracked, its integrity has been compromised and even the smallest rock on the highway can cause the crack to spread, or even break completely. A mobile service addresses these cracks while they are fresh, preventing them from getting worse and delaying the need for a new windshield. In the event of impaired vision, the mobile service can replace the entire windshield as well, which is a safe alternative to attempting the drive to a garage. Don’t wait until it’s too late. Call Change Auto Glass today. Change Auto Glass is one of the top windshield replacement and repair services, offering lifetime warranty on all parts and workmanship. Our team of NGA (National Glass Association) certified professional mobile installers can replace your car’s windshields or auto glass wherever it is located. Visit our website to contact us or get a quote and get a free coupon worth $10 off on windshield replacement and repair. If you have insurance, that’s even better for you. All you will have to do is give a call to Insurance Company, and they will ask about the glass company, please give Insurance Company our name and they will find us in their database and further authorize us to do window replacement. Once we receive work order from insurance, we come and do the job and bill the insurance company directly. We take care of all the paperwork and processes involved.